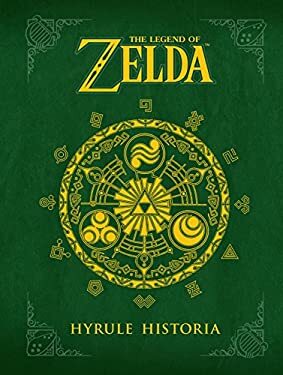 Dark Horse Books and Nintendo team up to bring you 'The Legend of Zelda: Hyrule Historia', containing an unparalleled collection of historical information on The Legend. This handsome book contains never-before-seen concept art, the full history of Hyrule, the official chronology of the games, and much more. Starting with an introduction by the legendary producer and video-game designer, Shigeru Miyamoto, the book is crammed full of information about the storied history of Link's adventures from the creators themselves. As a bonus, the book includes an exclusive comic by the foremost creator of The Legend of Zelda manga - Akira Himekawa. New (127 available) BRAND NEW. Over 1.5 million happy customers. 100% money-back guarantee. Make your purchase count: support Better World Books' worldwide literacy partners.